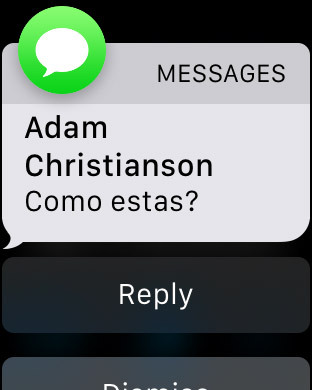 I tapped reply on my Apple Watch, and these were the first canned responses offered to me, and that’s without me doing anything in settings or anything else. It was entirely automatic. That’s pretty cool, and it might be useful in a pinch! 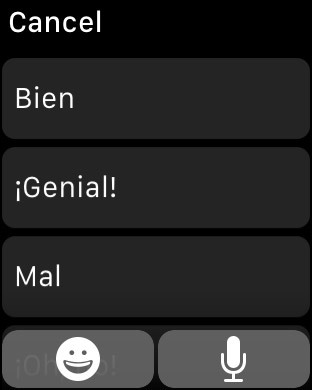 This entry was posted in Apple news and tagged Apple Watch, Multilingual. Bookmark the permalink.